Mindy Kaling was photographed with a Thalé Blanc clutch two days ago in New York while attending the "Made With Code" Google event! 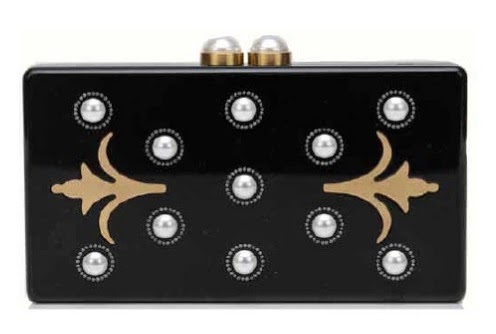 The actress accessorized her bright patterned mini with Thalé Blanc's Morning Dew Luxe Fleur De Lis clutch in Black Plexi with Ivory Pearls ($1,985). Christina Hendricks was also photographed carrying the same clutch at the 2014 Cannes Film Festival (www.thaleblanc.com).